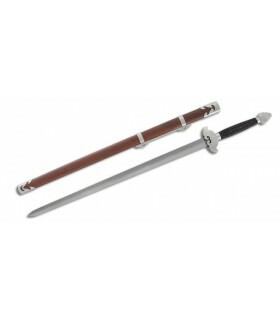 Swords Jian There are 6 products. 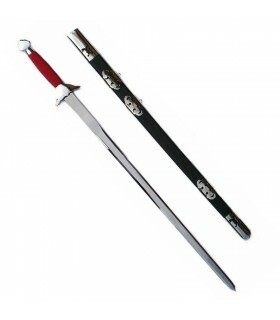 China Jian sword sheath blade 75 cms. stainless steel handle and red lace. Pod includes tai chi. 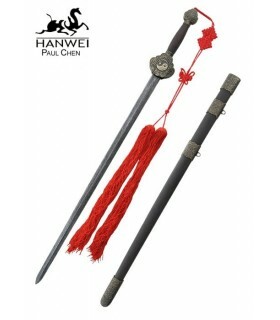 Cass Jian Sword Hanwei. With Damascus steel blade, hand-forged and well balanced, with meticulous finishes and traditional Chinese design. Wooden handle and leather sheath bronze finishes. 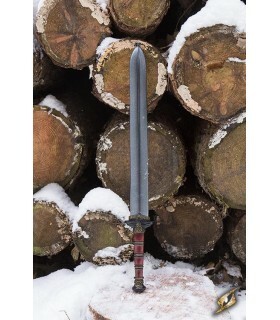 Short sword Jian ideal for the combat LARP. 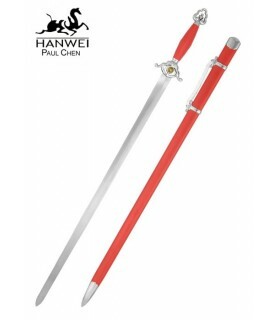 The design is based on the sword classic that has been used for over 2500 years in China. The blade is hand-painted colour steel and mie 62 cms. 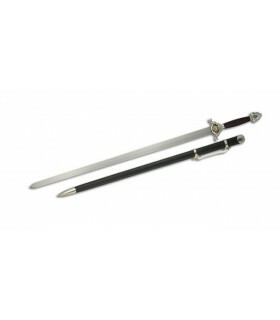 Manufactured with materials of first quality, this sword comes with reinforced fiber glass and can withstand without problems the combat more demanding.